Bake chicken at 450°F for about 20-30 minutes (depending on the size of the chicken breasts), or until the internal temperature of the chicken reads 165°F on an instant read thermometer. Remove the chicken breasts to a cutting board and cover loosely with foil. Allow chicken to rest for about 10 minutes before slicing and serving. Baked chicken breasts are extremely versatile and can be seasoned many different ways. Use your favorite spice blends and flavors to make these quick and juicy chicken breasts any night of the week. Place chicken breasts on a cutting board and cover with plastic wrap. Using a rolling pin or heavy skillet, pound the chicken breasts, focusing on the thicker ends, until chicken is even in thickness throughout. Sprinkle chicken with seasoning mixture, adding salt if needed. Rub chicken breasts until evenly coated in spices. Heat oil in an oven proof skillet, such as cast iron, over medium high heat. Once oil is hot, add chicken breasts and allow to cook for about 3-4 minutes on the first side, or until edges are starting to look cooked and chicken has a good sear. Flip the chicken breasts and transfer skillet to a 400°F oven. Bake chicken for about 8-10 minutes or until the internal temperature is 165°F on an instant read thermometer. Loosely tent with foil and allow to rest for about 10 minutes before slicing and serving. Sautéed chicken is golden brown on the outside and juicy on the inside. Experiment with different seasoning blends and pair with your favorite side dishes for an easy, but incredible weeknight dinner! Place chicken breasts into a large sauce pan and cover with cold water by several inches. Add a few simple aromatics such as carrots, peppercorns, salt, and bay leaves. Cover the saucepan and bring the pot to a low boil over medium heat. Once water is boiling, reduce to a simmer and allow chicken to cook gently for about 10-12 minutes or until juices run clear when chicken is pierced with a knife. Remove chicken and allow to rest for about 5 minutes. Cooking liquid can be reserved and added to soups as a simple stock. Poached chicken can be sliced, cubed or shredded. It’s the perfect blank slate to add to soups, casseroles, or seasoned for enchiladas or tacos. Make a batch of poached chicken to shred and use throughout the week for lunches and dinners. Cut chicken breasts in half to create smaller, evenly sized pieces. Season chicken generously with preferred spice mix, and stir to evenly coat. Add oil to the Instant Pot and turn on sauté setting. When oil is hot, add chicken breasts in a single layer. Brown chicken for about 3-4 minutes, flip and cook on the second side for an additional 3 minutes. Add liquid to the Instant Pot to almost cover the chicken. This can be chicken stock, coconut milk, salsa, or even water. A simple jarred salsa is easy and provides lots of great flavor to the chicken. Here we used a roasted tomatillo salsa. Place on the Instant Pot lid, set the valve to sealing, and cook on high pressure for 8 minutes. When Instant Pot is done cooking, quick release the pressure. Carefully remove chicken. Chicken can be served immediately with some of the reserved cooking liquid or used for meal prep throughout the week. Poached chicken and chicken cooked in the Instant Pot is great for shredded chicken. To shred chicken, use two forks to pull the cooked chicken into shreds. Shredded chicken can be added to casseroles, soups, or used in the filling for enchiladas or tacos. These methods for cooking chicken breasts can also be used for cooking boneless chicken thighs. 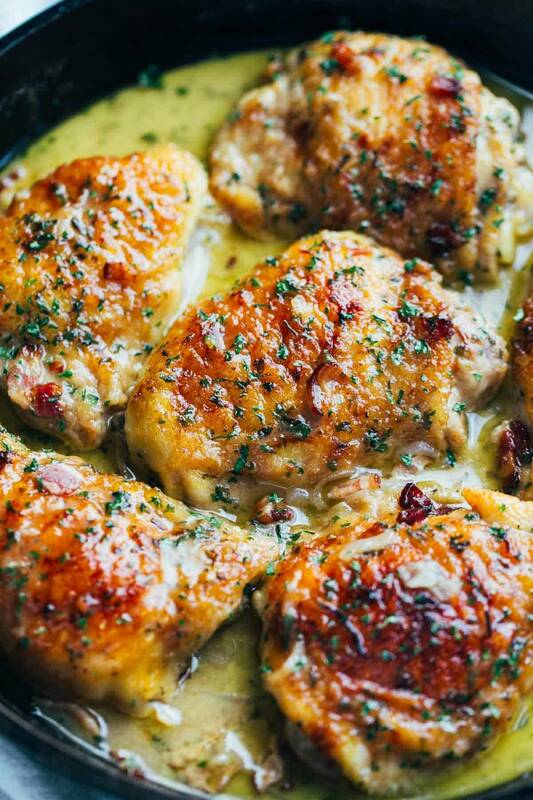 Chicken thighs have a higher fat content and therefore, can be extremely flavorful. Be sure to cook chicken thighs to an internal temperature of 165°F. The best way to know if chicken is cooked is to use a meat thermometer. Insert the thermometer into the thickest part of the chicken and ensure that chicken is 165°F. If cooking bone-in chicken, be sure to avoid touching the bone with the meat thermometer when checking the temperature. We’d recommend this instant read meat thermometer (affiliate link). Katherine is right! A few seconds and you have perfectly shredded chicken. I was never happy with the results of fork shredding. The mixer is the way to go here. True! 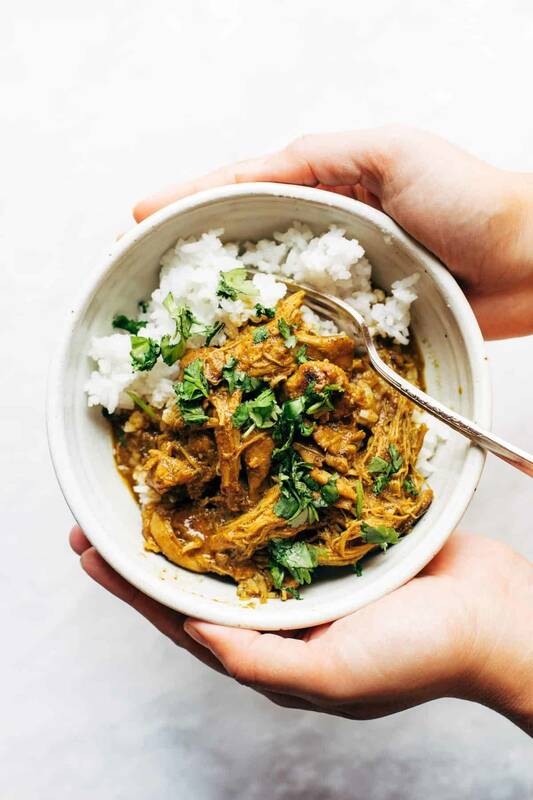 In the Instant Pot, you don’t even have to get a separate bowl dirty—when the chicken has finished cooking, pour out most of the liquid and just shred with the hand mixer in the pot! So this is great because we eat chicken like this every night. No lie. The kids like it and it’s a heck of a lot healthier than pizza. Again. But guys….the rolling pin. I love thin chicken for chicken parm but I can’t bring myself to roll it thin myself. Make the hubby do that. But he’s a hunter so nothing bothers the man. This recipe chicken looks Yummy.. I will also try this recipe at home. If you have a Kitchenaid mixer, use the paddle attachment to shred chicken in under a minute with no effort! Loooove that tip! Thanks, Sherrie! Call me crazy but I watch QVC and saw them shred chicken during a Kitchenaid segment! I’ve been meaning to try it. Since I have chicken in the freezer, I may give it a try. Also, Jenna, there should be a disclaimer on this site – Don’t view on an empty stomach because now I’m really hungry!! Thanks, with a positive, upbeat sounding voice! Off to the kitchen. Thank you so much for this! As a vegetarian cooking for my meat eating family, chicken is the one thing I cringe at touching and hate cooking. I always err on the side of overcooked and dry!! This is a great resource and some great new ideas to try too!! Love it. Also loved your instant pot article recently. Love these “idea” posts. Do you have a favorite spice mix that you use or suggest? I always struggle with coming up with a good seasoning! I eat ALOT of chicken, so I will try these recipes. They look really tasty ! I am loving this how to series. Bringing it back to basics is soo great! Also loving the posts on instant pot! Love how versatile chicken is! probably the worst way to go. Hi Ruth my advice is, you outlive the rest of us and future generations will hopefully notice and put two and two together. What a GREAT post!! Chicken is either nice and tender or dry and tough. These recipes give super advice on how to achieve the former. Thanks so much for sharing your tidbits along with some really awesome recipes. My wife keeps asking me how to make chicken in different ways and was ECSTATIC as soon as I showed her this post! Thank you so much! This couldn t have been any easier! the chicken was so moist and tender, and the pan drippings made the MOst delicious brown gravy yum!!! ?? i used a 6 lb. chicken and cooked it on HIgh for 26 minutes then NR for 15 mins. after browning, i placed the chicken on the trivet to cook which made for an easy transfer out of the IP once it was done. 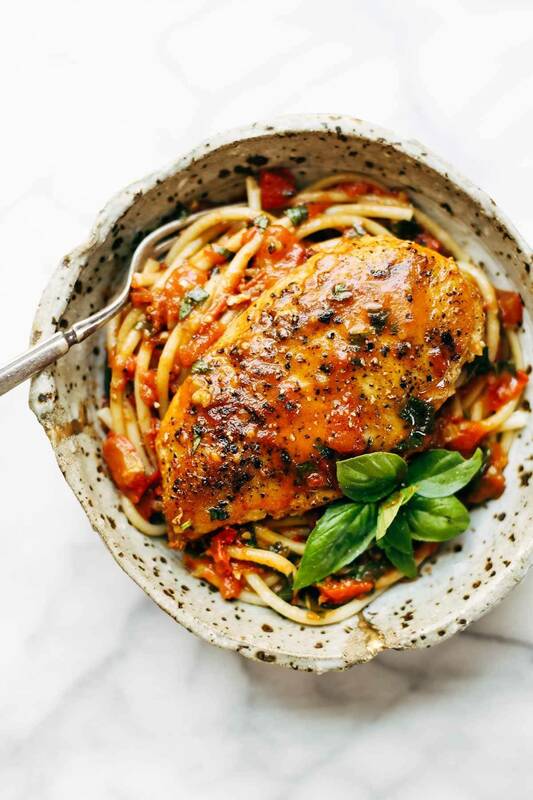 I have meal prepped chicken every Sunday and in a variety of ways for the past few years…the oven temperature and time you listed is the magic combination! Super succulent even a few days later. I will definitely try your other methods as well. Thank you! So yummy :p Thank you so much Emily for those delicious recipes based on chicken ^^ I’ll try one or many of them as soon as possible.